There are over 60 templates already and our library is expanding at a fast rate. A significant downside to downloading everything at once is that the sheer number of things to do will look daunting and hard to keep track of. Clients who tackle things section by section tend to be more thorough, have time to think about the subject, and achieve a higher progress rate. This area is for Registered users and Subscribers only. This library of CQC resources and Inspection templates will get you ready for any inspection fast. 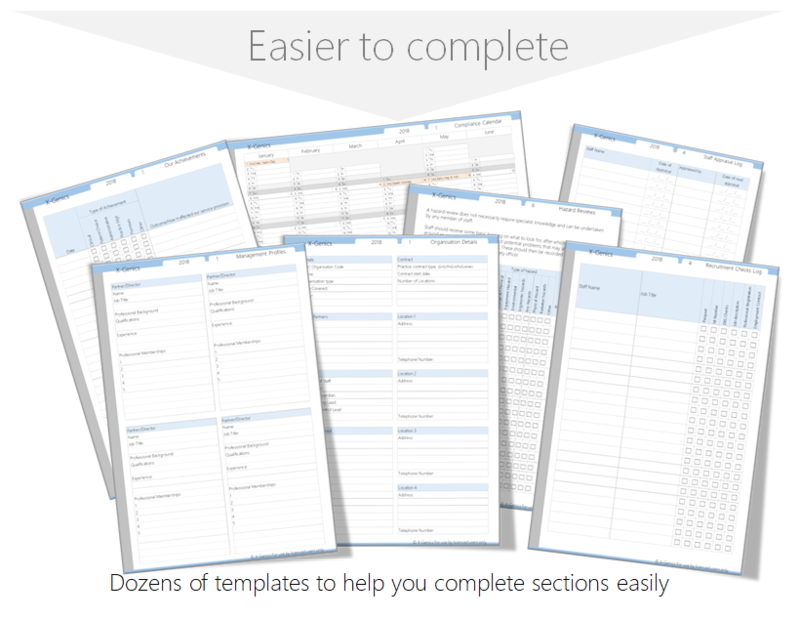 You need to be a subscriber to access our full range of templates.